Architecture lovers, be sure to attend the Scottsdale Library’s grand opening of Footprints on the Desert, an art exhibit celebrating the work of Frank Lloyd Wright, on Friday, September 21 from 6:30pm to 8pm at Civic Center Library. Footprints on the Desert will be on display for free at the Library from September 15 through December 31, but this one day only reception will feature special guest Vernon Swaback, who studied under Wright for two years. 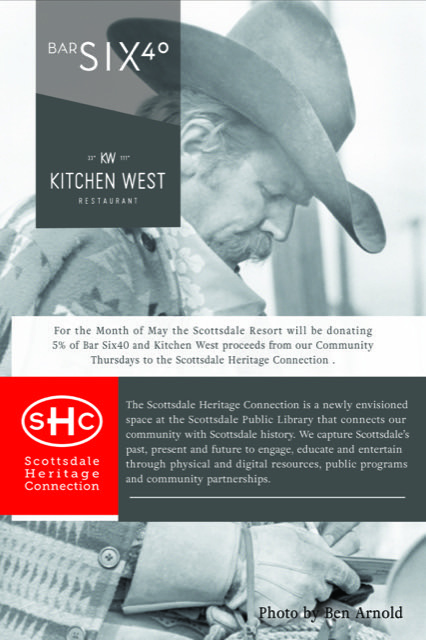 The Friends of the Scottsdale Public Library will be providing appetizers and non-alcoholic beverages at this free event. Organized by the AZ Heritage Center and the Frank Lloyd Wright Foundation in celebration of Wright’s 150th birthday, Footprints on the Desert includes images and artifacts from his past, as well as designs for structures that weren’t built. 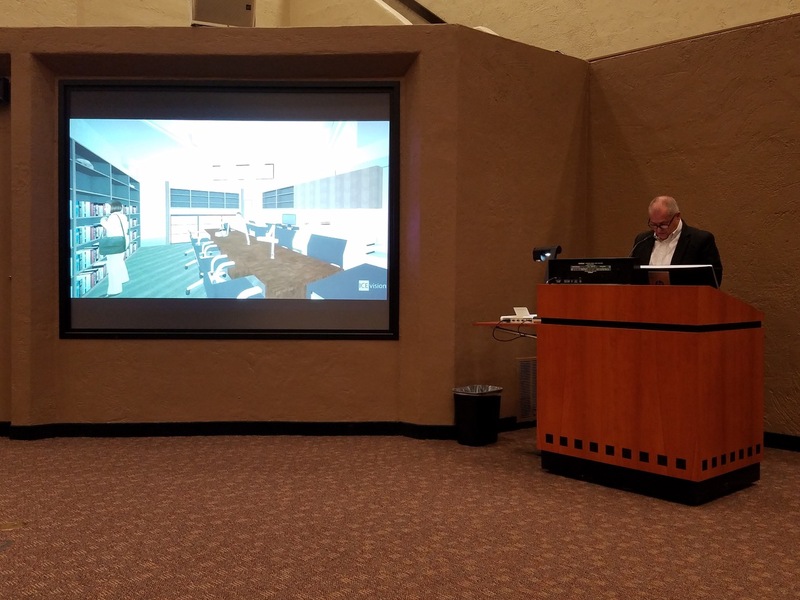 The reception and exhibit will take place in the gallery at Civic Center Library, which in 2019 will become the new home of the Scottsdale Heritage Collection. This will be the last exhibit provided in the gallery by Scottsdale Public Art. This entry was posted in Events and tagged appetizers, civiccenter, friends, heritageconnection on September 7, 2018 by Trey Granger. The Scottsdale Library will host a series of free monthly events to showcase the history of the city beginning Thursday, February 22. The events will all take place at the Civic Center branch from 6pm to 7pm, and will be hosted by Scottsdale historians and authors Joan Fudala and Doug Sydnor. Each session will have a theme, and will feature photos, videos and other historic documents collected by the City. 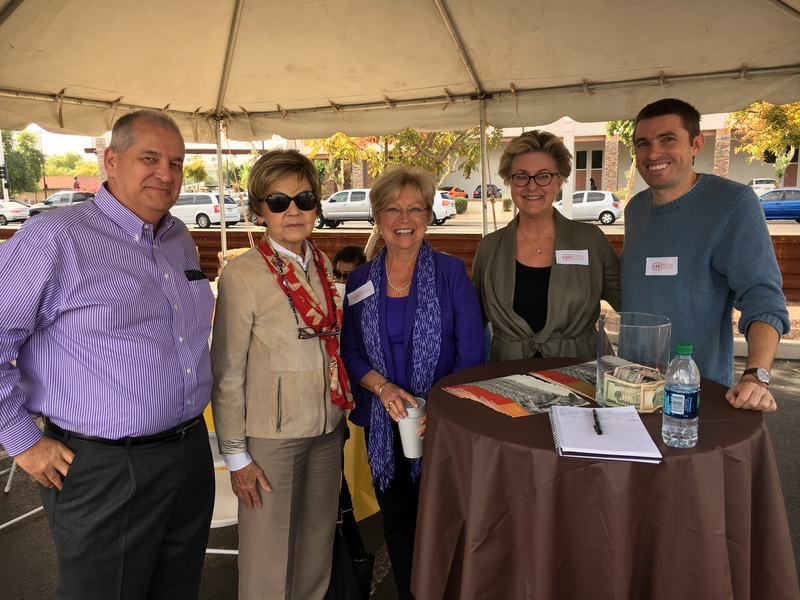 The salon series will promote the Library’s Scottsdale Heritage Connection, a project of the Friends of the Scottsdale Public Library to create a permanent exhibition that showcases all of the City’s historical documents. This entry was posted in Events and tagged authors, civiccenter, heritageconnection on January 25, 2018 by Trey Granger.